For most of the Northeast, it is very cold currently. This weekend is supposed to be especially cold, the coldest so far this year! In case you perhaps forgot, this Sunday is Valentine's day! 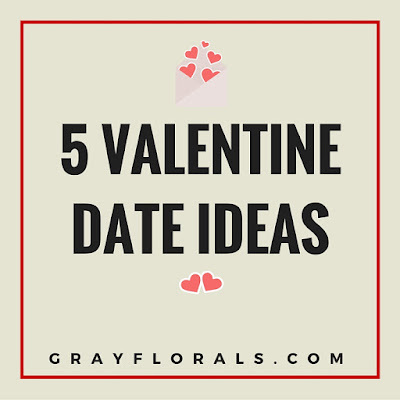 Today, I'm here to share some ideas for dates that will keep you warm on Valentine's day while still having fun! Who doesn't love a movie? There are a few new movies coming out this weekend that you'll definitely want to see. Check you local theater for times and maybe buy your tickets online to plan ahead! This is for the competitive couples out there who love to play games. Bowling is an easy way to have some fun competition. Go to your local bowling alley's website for possible discounts! I created a scavenger hunt for my boyfriend last year and it was really fun. There are lots of unique ways to customize your scavenger hunt so make it romantic (and probably indoors too)! If you two are more of home bodies. Get some food delivered and head home and stay in your pajamas all day while you play games together! If you need ideas check out my game night inspiration post! Spice up the routine by going restaurant hopping. Possibly do one course at each restaurant or getting a different appetizer to eat at each! This would be super fun if the restaurants are relatively close together. I hope you enjoyed these ideas! What are you doing for Valentine's Day?